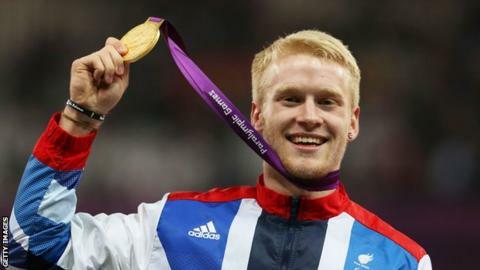 A revision of the Para-athletics classification system is set to affect British Paralympic champions such as Jonnie Peacock and Kadeena Cox. Under new rules, which take effect on 1 January, Rio T44 100m champion Peacock will compete only against other single-leg amputees in a new T64 category. Rio champions Cox and Hannah Cockcroft will have their T30s category reviewed. British T42 200m Rio gold medallist Richard Whitehead tweeted that it was a "backward step". He added: "This will lead to smaller numbers in events." Peter van de Vliet, the International Paralympic Committee (IPC) medical and scientific director, said: "These are major changes for the sport of Para-athletics, but major changes that are being made following full consultation with the Para-athletics community and relevant research groups. "Classification is an evolving process and armed with better research we can take important decisions like this to further develop the sport." The Paralympic classification system has faced much criticism in recent years with claims of cheating and misrepresentation of disability, raising concerns of whether the system is fair and robust. This classification announcement from the IPC is an introduction of new tests within the system as an attempt to address concerns by reviewing certain categories within Para-athletics events under most scrutiny. The T30s category is for athletes with conditions that cause increased muscle tone, involuntary muscle contractions or affect muscle co-ordination, such as cerebral palsy, brain injuries, stroke or multiple sclerosis. T31 is the most severe (T31-T34 for wheelchair and frame users), to T38, the least severe. All athletes competing within these categories will now be under review and face re-classification if their disability does not fit within the category guidelines. Paralympic champions Cockcroft, Cox, Sophie Hahn, Georgie Hermitage and Paul Blake will all face a review of their classification in 2018. The T42-44 categories, for athletes that use lower limb blades to run and jump, will now be transferred into four new categories - T61-64. Paralympic champion and Strictly Come Dancing star Peacock will transfer to a T64 for athletes with single leg below-the-knee amputation, and Whitehead will compete in the T61 category for athletes with double leg above-the-knee amputation. Whitehead had previously competed against athletes with single leg above the knee amputations. The T20 category, for athletes with intellectual impairments, will also be reviewed. Hahn and Blake are among those to have their classification reviewed after the revision.